Vogue lists Intensive Brightening Treatment as a “Bright Idea” and Cloud Nine Skin and Body Care agrees. This is a newer formula of retinol solutions that is highly effective in treating PIH (post inflammatory hyperpigmentation). You know, those annoying dark spots on your face that seem to have come out of nowhere. Typically dark spots are a result of sun exposure over longer periods of time and can be difficult to fade. At Cloud Nine Skin and Body Care we like Intensive Brightening Treatment for its unique 10-hour time released delivery system called OmniSome which enables the retinol to slowly penetrate the dermal layer and get down deeper than other retinols. 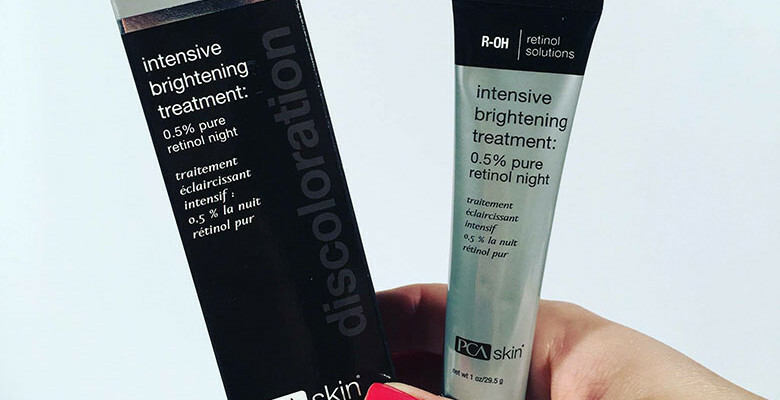 A great side benefit when using this product is that while it has been formulated to specifically address discoloration, the potent .5% pure retinol helps to reduce fine lines and wrinkles over time by stimulating the production of collagen and increasing cell turnover for a more youthful appearance. There’s a lot more to learn about skin discoloration causes and remedies. At Cloud Nine Skin and Body Care we have achieved great success helping clients with acne scarring, PIH and even melasma, so if evening your skin tone is on your list of priorities, we invite you to contact us for your first appointment. Let’s get started!